Lately, there has been a lot on the news in regards to some pretty insane ‘Bird Box’ challenges. This came as a result of the latest Netflix craze, Bird Box, starring Sandra Bullock and Sarah Paulson – which was released last month on Netflix. 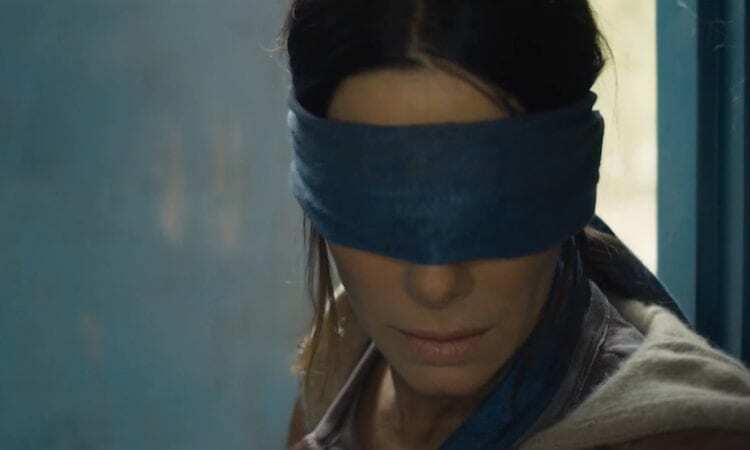 The film follows a woman (Sandra Bullock) who, along with a pair of children, must make it through a forest and river blindfolded to avoid supernatural entities which cause people who see them to either die by suicide or force others to take their blindfolds off. After reaching almost 45 million views in the first week, Bird Box has maintained quite the trending numbers and gained an incredible following. In fact, it has gained such an incredible following that restaurants are offering a ‘blind date’ dinner option; providing quite a ‘sensory deprived’ experience. The first dinner happens on a Friday night at an upscale, historical establishment in Jericho, New York. The Milleridge Inn‘s “complete sensory experience” will include a three-course dinner for $48 per person. Every diner will be blindfolded throughout the entire meal. Oh, and in case we forgot to mention, those that are dining are being asked to remain completely silent and only listen to the sound of birds chirping and water to accompany them throughout the meal. Talk about taking ‘blind date’ to a whole new level… I’m wondering if there is a ‘big reveal’ at the conclusion of the three course meal where you get to see who your dining partner was throughout the experience! Bird Box can now be viewed on Netflix.